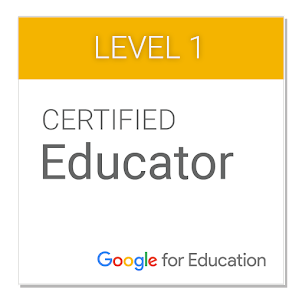 Looking for an AWESOME Instructional Technology Masters Program? If you are looking for a 21st Century Instructional Technology Masters program, Look no further!!! Review the slideshow above and see how our program provides opportunities to engage in 21st Century Learning, Instructional Design and Research. 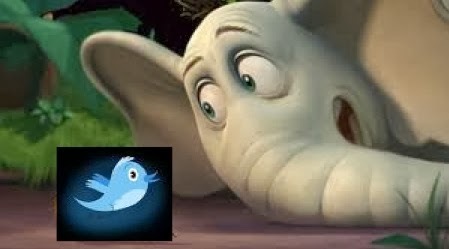 Horton Hears a Tweet? ABSOLUTELY!!! When compared to Twitter's "natural free-flowing, just-in-time" connection, this is a system for documenting communication rather than fostering it. This article is MUST-READ material for educators and students alike. They even include a robust list of Additional Readings and Resources. What do you think? Have you found Twitter to be as advantageous as they say? The First Tweets from my Classroom. Are YOUR kids using technology? Of course they are. My 2-year old grandson is continually grabbing my iPhone from me and then using it to identify animals, play songs, shake rattles, play drums, take photos and even make the occasional phone call. While some educators argue that infants are too young to use these tools, the fact of the matter is that our kids are learning through using technology. 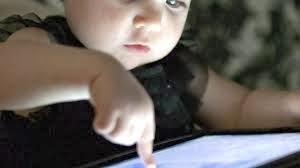 A recent study by Common Sense Media found that 8% of children under 2 years old use mobile devices at least weekly. The numbers jump from there. One of the reasons for this huge use is that in the past 2 years, smartphone ownership has increased from 41% to 62%. Tablet use has jumped from 8% to 40% in the past 2 years as well. Time spent on non-mobile computers has dropped sharply. Read the rest of the facts on usage at the Buzzfeed article about this phenomenon, The Babies are Going Mobile. Thanks for telling me about this posting, Zach Benton-Slocum. Acknowledgement of these stats is not saying that technology should replace using crayons or playing on the playground or climbing trees. It is just that these mobile devices can expand their learning experiences. What are your experiences in your students/children using mobile devices?